Best to start shopping at Toys R Us if you like the store. 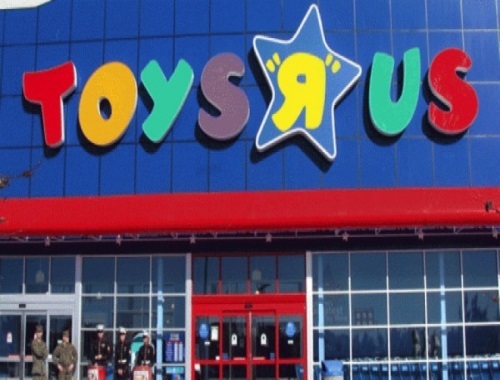 According to a September 6 report by CNBC, the U.S. toy chain Toys R Us has hired restructuring lawyers at Kirkland & Ellis to help restructure $400 million in debt the company will have to repay in 2018. Among the possible options, the retailer is allegedly considering bankruptcy. Even if Toys “R” Us were to enter corporate restructuring, it wouldn’t necessarily cease to exist. For example, Payless ShoeSource, another struggling retailer, recently emerged from bankruptcy after slashing its U.S. store count. Solid Christmas sales will be essential for the company to be able to address its upcoming debt, S&P noted. There is no question that Toys “R” Us is struggling, said Robert Levy, president of Toronto-based BrandSpark International. The toy chain faces formidable competition from Amazon, which has become a lead player in the toy and baby needs department. More and more parents are subscribing to the online retailer’s Amazon Family service, which offers 20 per cent off and free shipping on regular deliveries of diapers, along with other family-centric offers and recommendations. To survive, Toys “R” Us will need to step up its game when it comes to online shopping, users’ reviews and delivery costs, according to Levy. But it still has a chance.